The JavaJug2™ is a companion product for use with the AeroPress® coffee maker that helps you press, brew, and serve coffee. It’s also designed to be a rugged storage unit for home or travel. Make and serve up to four 8 ounce cups of coffee without mess or fuss. The JavaJug’s internal markings show you exactly how much hot water to add. It holds up to 32 ounces (946 ml) of brewed coffee. Perfect for sharing, serving or just making a really big cup. When coffee time is done, the JavaJug becomes an elegant yet rugged storage unit for your press and its parts. Flip up the latch and everything is stowed together, safe and secure inside. The food grade stainless steel JavaJug not only looks great in your kitchen, it’s lightweight, so it’s perfect for travel and camping too. You can even boil water in it. 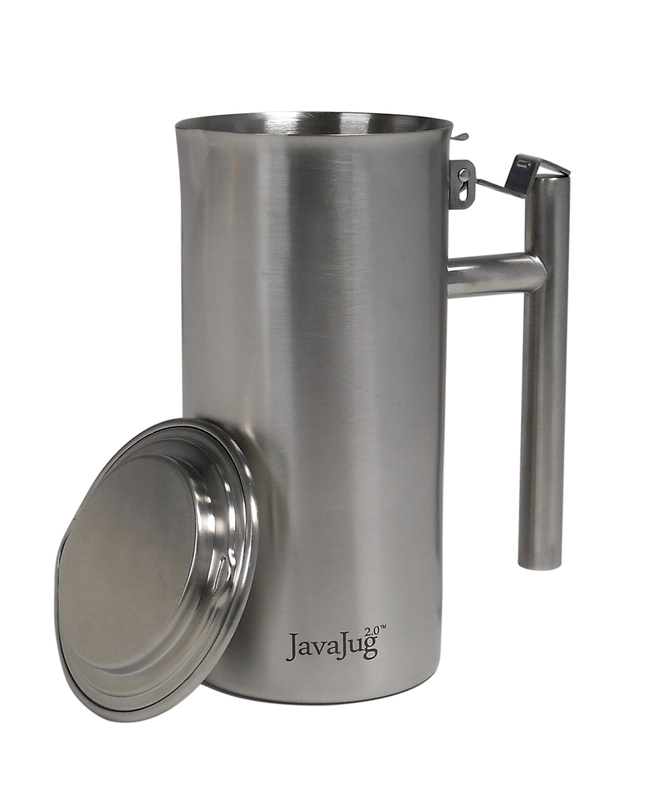 New features of the JavaJug2™ include a stainless steel lid, flanged top edge, and a two-level tab to secure the lid with or without the AeroPress inside.